Another round of Designer Pattern Swap is in the works this week. I was delighted to participate, and even more pleased to matched up with Judy from Patterns for Pirates. I've admired her patterns for awhile, because most of them appeal to my knit-comfortable-casual-jeans-wearing style. 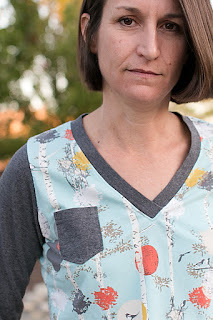 I chose to sew up her Boyfriend V-Neck tee, and I love the results! Finding great fitting tees is a challenge for me, since I very long limbed (a.k.a. monkey armed). 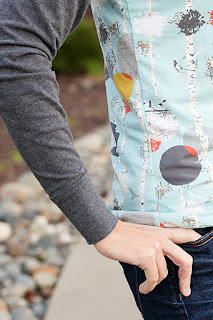 The tee is generous in the arm length, but it's was easy to add an extra inch since I chose to make the cuffed sleeves. This tee is a slim cut, but not snug. 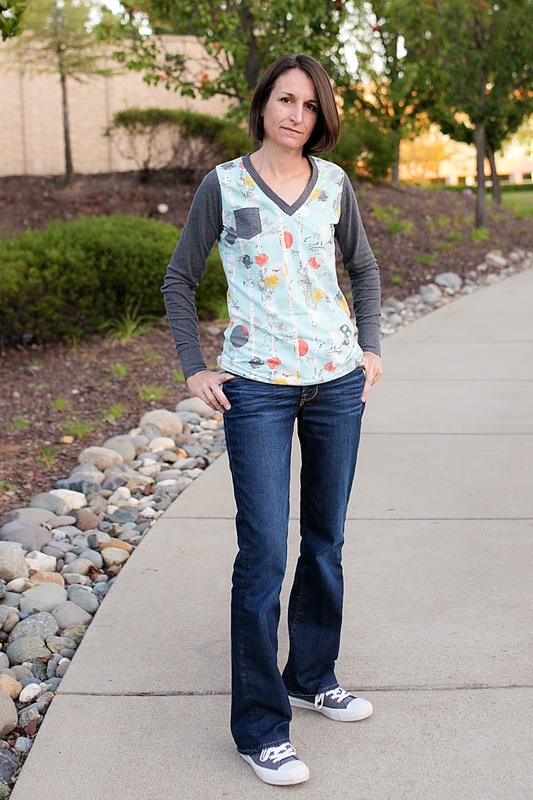 The V-neck has two options; traditional and crossover. I selected the crossover style. The dainty pocket adds a nice accent. I used buttery soft Art Gallery and Kaufman knits for this tee, making it hard to change out of at night. 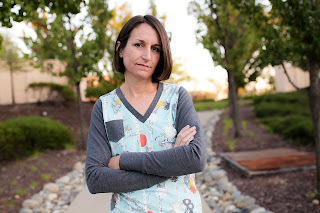 I'm thinking about making a couple more to pair with pajama pants for comfortable and cozy sleepwear. 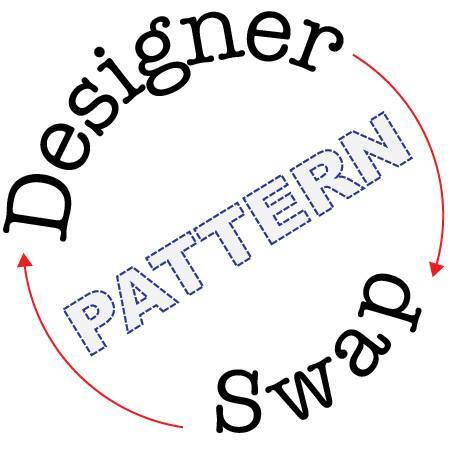 Keep an eye out on Pattern Revolution for more Designer Swap posts and more chances to win free patterns from the featured designers. Enter here for a chance to win! You are rocking this Kate!! !